Everyone has a story – all you have to do is listen. And when young and old come together to talk and listen, they can change each other's lives, their community, and even the world. 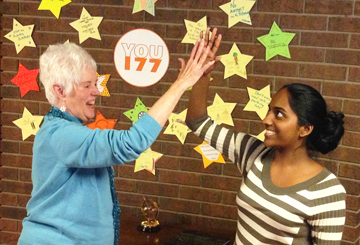 In partnership with the Whitchurch-Stouffville Public Library, the Legacy Project's Listen to a Life Story Contest is a part of WS YOU 177 One Town, One Book. Click here to read this year's local winning story, and you can also read the winners from 2016 and 2015. The next Listen to a Life Contest starts on National Grandparents Day, September 10, 2017. 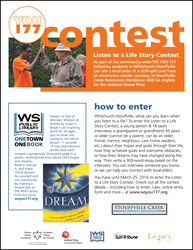 In addition to the national Grand Prize, students in Whitchurch-Stouffville are eligible to win a special WS local prize of a $250 gift card from a major electronics retailer courtesy of Stouffville Creek Retirement Residence. 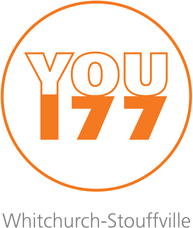 WS YOU 177 is a whole-community initiative that connects generations in meaningful new ways. For the contest, a young person 8-18 years interviews a grandparent or grandfriend 50 years or older about their life and writes a 300-word story. The judging committee isn't looking for the person's whole life story (which is impossible to do in 300 words), but one story that captures a theme, moment, or experience that's important in the older person's life. One entry per team (i.e. 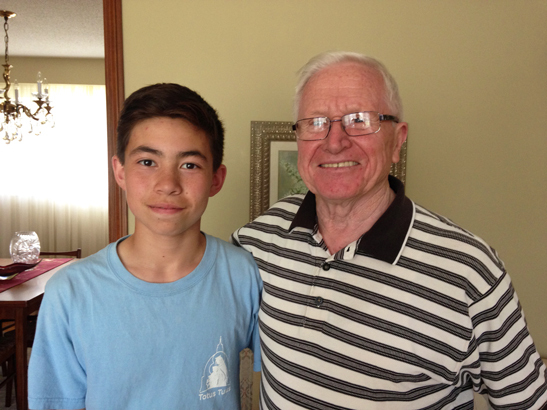 young person and grandparent or grandfriend). Entries must be 300 words or less, be a true story about an older person's life, and will be judged by a committee based on the following criteria: 1/3 writing quality, including creative presentation; 1/3 content depth and evocativeness; 1/3 appropriateness to theme, particularly the ability to capture a timeless idea, insight, or theme (big or small) based on real-life experience. Keep up-to-date on everything happening with WS YOU 177 – follow us on Twitter and sign up for the Legacy Project e-newsletter.